Keeping your Callaway golf clubs clean is an ongoing process that requires only a few minutes of effort. Keeping your Callaway golf clubs clean is an important part of managing your golf game. Not only does cleaning your clubs affect their look, but it affects their performance as well. 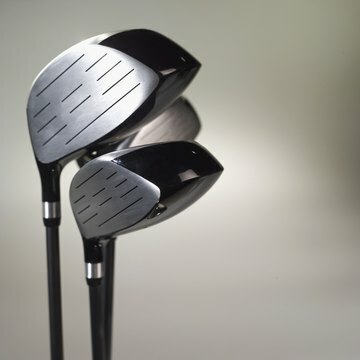 Having dirt or grime buildup on the head of the club can prevent clean contact with the ball, and having buildup on a club's grip can make your club slip during a swing. Fill a bucket with warm water, but make sure the water is cool enough to be able to comfortably place your hands in it. Then, add a couple squirts of dish washing soap to the water. Mix the soap with the water using your hands. Place your clubs, heads down, into the water. Allow them to soak for about 5 minutes. This should be enough time for most grime and buildup to work its way loose. Scrub the club heads using a toothbrush or a kitchen scrub brush. Get them as clean as possible. Be careful not to scratch your clubs if you are using a stiff brush. Rinse the club heads using a sink faucet or hose. Then, rub the club heads and shafts using a towel or rag. Wipe down the club grips using a damp towel or rag. This will remove any dust or dirt buildup from regular use.